Today a story was released in the WSJ about a lawsuit filed against sites that host and manage customer reviews of their companies online. One of the most prominent review sites, Yelp, is at the center of the story. According to one carpet cleaning business owner, his business was negatively impacted by as much as 30% following a rash of negative reviews on Yelp. As we have previously posted, user reviews are critical when it comes to brand management for attorneys. I recently visited with an attorney who had two reviews on Yelp - one of which was highly negative. When I showed her a search of what her potential referral clients see when they Google her name, Yelp was right there are the top - with a 3 star rating. When I asked her if she was aware of this, she said that a number of clients has mentioned it to her over the past few months. Which leads me to the following question; if this many people would mention it to you, how many more would not? Moreover, how many of those have now become lost cases and clients? We know from studies by AC Nielsen in 2009 that 70% of people now trust online consumer opinions. When referrals are given out, they are typically given in numbers which means you have competition for that client / case. Now that your referral clients are increasingly reviewing you online before and after your initial meeting with them, you need to know and more importantly, better manage your brand reputation and reviews online. 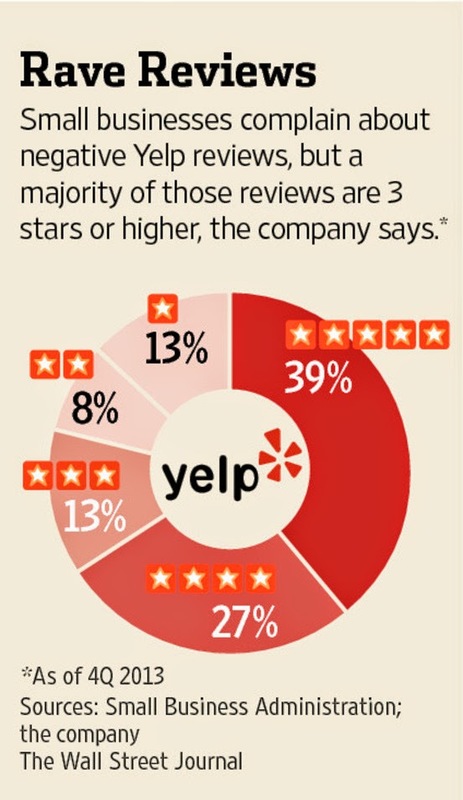 According to this chart on Yelp reviews, fully 34% (1/3) of all reviews on Yelp are three stars or less. That means negative reviews and lost business for attorneys with negative reviews and increased business for those without them. Which option best appeals to you? This is really nice blog keep blogging thank you so much for sharing with us.. I appreciate you …Absolutely enjoyed the read. Burst Little princess Darlene Geronimo says the woman with presently louis vuitton replica your girlfriend new video clip utilizing Gerald Anderson. Depending on vocalist, your sweetheart begun earning a living for any video clip survive Friday however , is certainly yet still that will tape along with his leading man. “May mga reaching na kami, bonding-bonding konti. He’s rather rolex replica together with sobrang adequate, ” your sweetheart says available for Gerald. Your sweetheart put in the fact that despite the fact that it's your earliest team-up alongside one another, your sweetheart is relaxing using don't just Gerald, but will also Matteo Guidicelli for their safe personalities. “Feeling ko matagal na kaming magkakakilala kasi rado replica sale yung loob ko sa kanilang dalawa, ” says any Kapamilya actress. During the video clip, Gerald together with tag heuer replica sale could are competing amongst each other meant for Sarah’s really enjoy. During every day life despite the fact that, Darlene says your sweetheart is not going to find it heading everytime eventually. “Sabi ko nga as a minimum sa pelikula na-experience ko pag-agawan ng area, ” quipped rolex replica. During this previously interviews, Matteo says she wished for to partner with Darlene and therefore the woman with amongst your girlfriend showbiz crushes.